GENEVA, Switzerland, August 13, 2014 (ENS) – In a decision that affects automakers around the world, the Appellate Body of the World Trade Organisation, WTO, has ruled that China’s export duties and quotas on rare earth elements are not justified for reasons of environmental protection or conservation policy. 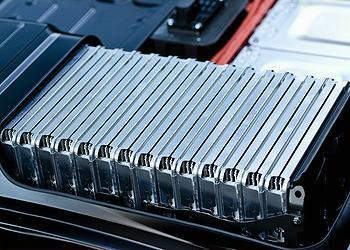 At least a thousand car parts use rare earth elements. For instance, they go into the permanent magnets, rechargeable batteries and regenerative braking systems for hybrid and electric vehicles, as well as the catalytic converters in petrol-powered cars. Backing the claims of the European Union and its co-complainants, the United States and Japan, the WTO appeals body August 7 confirmed the findings made by a WTO panel in March 2014 that China’s export restrictions on rare earth, as well as tungsten and molybdenum, are in breach of WTO rules. “This ruling sends a clear signal that export restrictions cannot be used to protect or promote domestic industries at the expense of foreign competitors. I now look forward to China swiftly bringing its export regime in line with international rules, as it did with other raw materials under the previous WTO ruling,” the commissioner said. Rare earths are 17 chemical elements in the periodic table, specifically 15 lanthanides: lanthanum, cerium, praseodymium, neodymium, promethium, samarium, europium, gadolinium, terbium, dysprosium, holmium, erbium, thulium, ytterbium, lutetium, as well as scandium and yttrium. 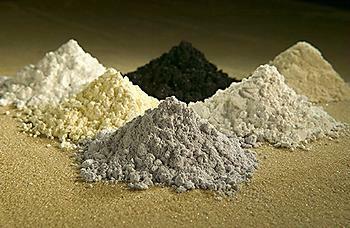 Rare earth elements are used to manufacture wind turbines and in the production of electronics, such as computers, cell phones, silicon chips, TV and computer monitors, rechargeable batteries, camera lenses, light emitting diodes (LEDs), compact fluorescent lamps, baggage scanners and marine propulsion systems. They are used to make high strength magnets, metal alloys, stress gauges, ceramic pigments, colorants in glassware, chemical oxidizing agents, polishing powders and plastics. In the medical field, rare earths are used to manufacture x-ray machines, nuclear medicine and magnetic resonance imaging machines, in cancer treatment applications, and for genetic screening tests, as well as medical and dental lasers. China is a monopoly supplier of rare earths with more than 90 percent share of world production. Tungsten and molybdenum – two other raw materials involved in the case – are also crucial materials for industrial production. Tungsten is a very hard metal used in cemented carbide and high-speed steel tools. It is used in lighting, electronics, power engineering, coating and joining technology, the automotive and aerospace industries and medical technology. China is by far the largest tungsten producer in the world, accounting for about 90 percent of total world production. World demand for rare earth elements was estimated at 136,000 metric tons per year, with global production around 133,600 tons in 2010. The difference was covered by previously mined above-ground stocks. World demand is projected to rise to at least 160,000 tons annually by 2016 according to the Industrial Minerals Company of Australia (IMCOA). IMCOA estimates China’s output at around 130,000 tons per year in 2016 – up from 105,000 tons in 2011. China’s output quota however, was established at 93,800 metric tons for 2013. Based on the above estimates, the non-China annual output would need to be between 30,000 mt to 80,000 mt to meet global demand for rare earth elements in 2016. In 2012, China lost another WTO case, brought jointly by the EU, United States and Mexico, on export restrictions on raw materials. China lifted those restrictions. But the Chinese government did not lift similar measures, export quotas and duties, applying to other raw materials, such as tungsten, molybdenum and rare earths. The EU and its co-complainants were left with no option but to use the WTO’s dispute settlement mechanism again. China has argued that its export restrictions on rare earths are part of its conservation policy. But the WTO’s position today is clear – export restrictions cannot be imposed to conserve exhaustible natural resources if the domestic production or consumption of the same raw materials is not restricted at the same time for the same purpose. Mining, refining, and recycling of rare earths have serious environmental consequences. Radioactive slurry tailings result from the presence of thorium and uranium in rare earth element ores, and toxic acids are required during the refining process. Neither the complainants nor the panel contest China’s right to put in place conservation policies. However, as the WTO clarified, the sovereign right of a country over its natural resources does not allow it to control international markets or the global distribution of raw materials. A WTO Member may decide on the level or pace at which it uses its resources but once raw materials have been extracted, they are subject to WTO trade rules. The extracting country cannot impose restrictions only on foreign users. The EU, together with the United States and Japan, launched the WTO dispute settlement case in March 2012. Initial consultations with China did not bring a solution, so the WTO set up a panel in June 2012. The panel’s report issued on March 26, 2014 was a victory for the EU and its co-complainants. China appealed the report on April 25, 2014. Now that the WTO has ruled on that appeal, the reports will be adopted by the WTO Dispute Settlement Body within 30 days and China will have to comply with the ruling immediately or within a reasonable period of time that it can request for implementation.